WHEN AN EARTHY, talkative Southern cook living in Savannah publishes a book of family recipes woven into stories of her hardscrabble upbringing, readers might assume another project has surfaced by a now-famous lady and her sons. Enter 49-year-old Sallie Ann Robinson, born and raised on Daufuskie Island, five miles north of the mouth of the Savannah River. Cooking on woodstoves, her family growing most of their own food, and with access to the mainland only by boat, the Gullah customs of Robinson’s childhood in the 60’s and 70’s often resembled the 19th Century lifestyle of her island ancestors. 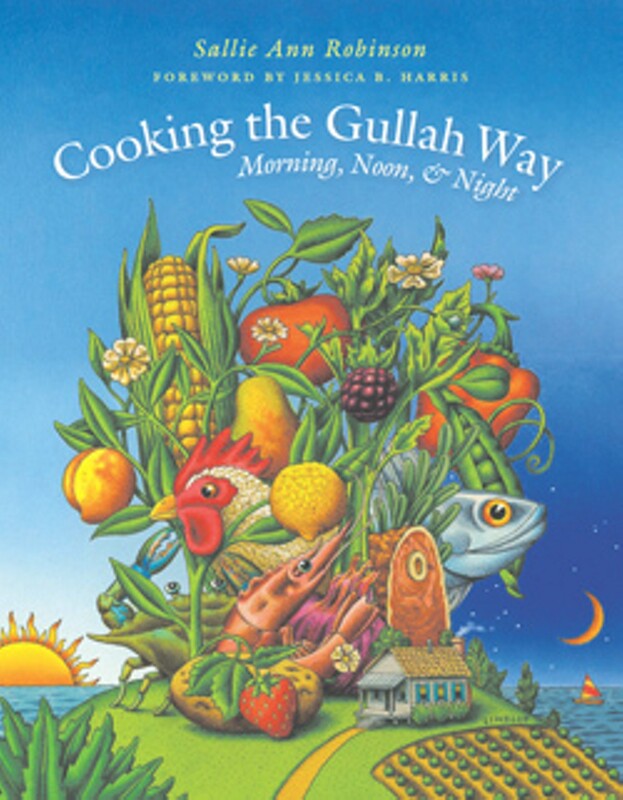 Robinson’s first book, Gullah Home Cooking the Daufuskie Way (2003) used her mother’s recipes as a vehicle to describe her own childhood on the island. Since its publication, Robinson has appeared on the Food Network, QVC, the 700 Club, and in the New York Times, Southern Living, Essence, and More Magazine. Robinson first captured the attention of the publishing world as a 13-year-old in Pat Conroy’s memoir The Water is Wide, (filmed as Conrack, starring Jon Voight) the story of the author’s year as a teacher at the one room school on Daufuskie Island Robinson, one of his students, is called Ethel in Conroy’s book. In 2003, Conroy wrote the preface to Gullah Home Cooking. 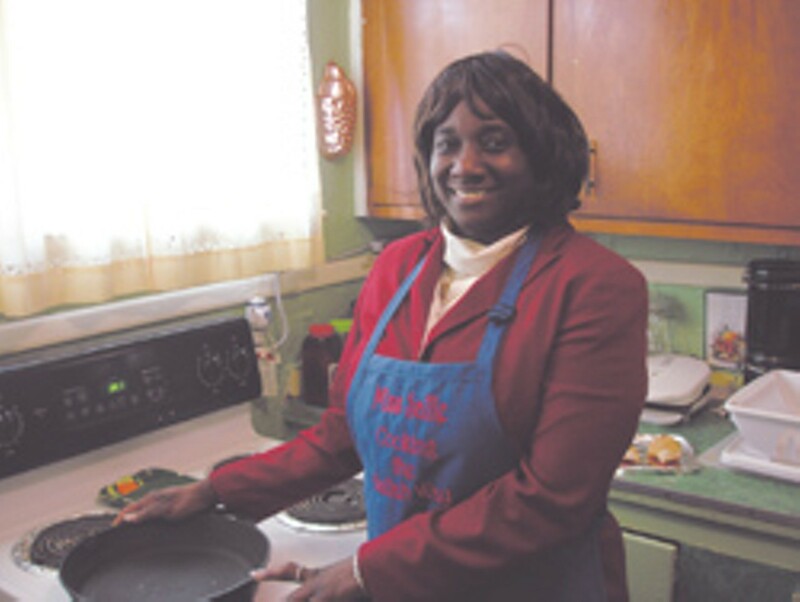 Last week in her brick bungalow in midtown Savannah, Robinson talked about her second book, Cooking the Gullah Way: Morning Noon & Night, released this fall by The University of North Carolina Press. Describe the origins of this second book. Would you describe this book as a cookbook? As a memoir? Sallie Ann Robinson: Yes it is a cookbook, and yes it is a memoir. In writing the first book I tried writing just a cookbook. One of the first recipes I wrote was fried chicken. The thought came to me that my mom had me kill, clean and cook this chicken. It was a funny day, an exhausting day, but it was a worthwhile day. I wrote that into the recipe and a bell went off, it was yes, you have stories to tell. Talk about what made it happen. It seems like several recipes in the first book are for things that most people don’t eat today, while the second book uses ingredients more commonly available. Sallie Ann Robinson: I heard a lot of that on the tour for the first book. “You eat chicken feet? You eat squirrel, you eat possum?” Well, I used to eat a lot of that stuff. I don’t eat it so much now, but I will. In the second book I wanted to let people know that we had a lot of food that we ate like they ate. They weren’t everyday dishes, but we had it. I also give recipes that I do now. I do things that are past and present. How did you go about writing down these recipes that you learned directly from your mother and carry around in your head? Sallie Ann Robinson: It was really hard. Coming back to the first book, in the recipes I had scoops, pinches, dashes and dabs. My editor said, “Sallie, they won’t understand what that is.” I said “Let’s put it into a glossary,” but she said that would be too much flipping back and forth in the book. So we had to measure things. When you have mastered cooking, regardless of what kind of culture you’re into, you self teach a lot of things in the kitchen. Like my mom, I like to try things. When she cooked things, our dishes were never the same. She always tweaked things. A lot has to do with your stove, the temperature, we cooked on a wood stove, it’s a lot different than gas or electric. If I had said “cook this for two minutes” it might be too long for someone’s stove. Sometimes things take a little longer, based on cut or time of season. Collards cut in summer are a little tougher, it takes longer to cook. My mom always said winter collards are tenderer. Talk about your natural wine recipes. Sallie Ann Robinson: Making wine was a way of income for them back in the day, when Captain Sam Stevens had a boat taking people over to buy native products--shrimp, crab, wine. It was also a gathering party time. The way they made it was natural. It was gathering the fruit, preparing ingredients, time and love. What about the home remedies? Sallie Ann Robinson: Not only did we not have grocery stores, we didn’t have doctors. You couldn’t get in a boat every time you were sick with something and go see the doctor, because they couldn’t afford it. The old fashioned way of medicine really worked for people. Sallie Ann Robinson: Quite a few. As I told in my first book, fried crab rice. It wasn’t an everyday dish. The bread pudding-- it was a special treat once a month. When my parents came to Savannah to buy groceries my mother would get a bag of day old bread and make that. It was a sweet treat. Smothered shrimp and grits, oh God, how can you not love that? The only thing I don’t love is the okra. If I could get past the scent then I would eat it. Mind you, I can make gumbo but when it comes time to put the okra into it, which is last, I have someone else do it. Some of the recipes seem so basic, like Daufuskie Deviled Eggs or Sallie’s Best Milk and Egg Toast, which looks suspiciously like French toast. Why include these? Sallie Ann Robinson: My motive was, these fancy-named recipes started out the way we did it, then went elsewhere and were given new names! We were doing it without knowing it would be something that others did. There’s quite few dishes that when I look at the Food Channel and see they are frying rabbit and squirrel, I am saying we did that a long time ago, they are just discovering it. Spanish rice? That’s red rice. You might add a little different seasoning but it’s the same thing. It reminds me of when Pat Conroy taught us about homonyms—they sound alike, they’re spelled different. It’s the same thing — same recipe, different name. One of the funniest things to me was when I heard the word organic. I thought, “This must be something new.” Then I realized this was what we did. We didn’t have additives. Ashes from the stove kept the bugs off the beans, plain ashes from the wood that we burned in the stove and it worked. Now you have to wash away what they put on it. When the mad cow disease scare came out, I saw a show that said “We have something we’ve discovered, something new. We are having our cows graze on grass.” I’m like, that’s the secret? Grass? You could have asked me that years ago. What do you see as the future of Daufuskie Island for the families like yours, whose roots are there? 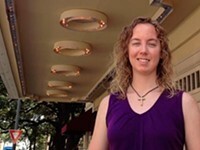 Sallie Ann Robinson: I don’t know what makes people forget where they come from. A lot of people who left Daufuskie back in the day wish they were back home. They went for the lights and the city and all that, but it wore off. The quiet, the peace of mind, the freedom of space is what they wish they were doing. One thing keeping people away from the island is not having access to a boat that’s regular. It’s between $24 and $30 round trip per day. That’s a lot of money. No one’s able to keep doing that. A lot of natives have property there but they’re not living there. Even the taxes now. I still can’t figure out why there isn’t a law that protects people who have had property there for umpteen years against those who are coming in. Because we’re not doing the building. I don’t mind that they’re building, but don’t make me pay for it. Why are we paying for somebody else’s fortune? 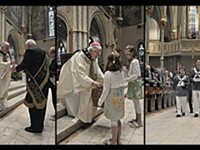 A lot of the elders are now gone, but a lot of the young ones could come back and be more a part of Daufuskie. Eventually one day I do have dreams and hopes to be back home. I haven’t traveled the world wide over, but I still don’t want to be anyplace else but Daufuskie in the end. Sallie Ann Robinson will sign Cooking the Gullah Way: Morning, Noon & Night at Barnes & Noble in Oglethorpe Mall Dec. 22, 1-3 p.m.